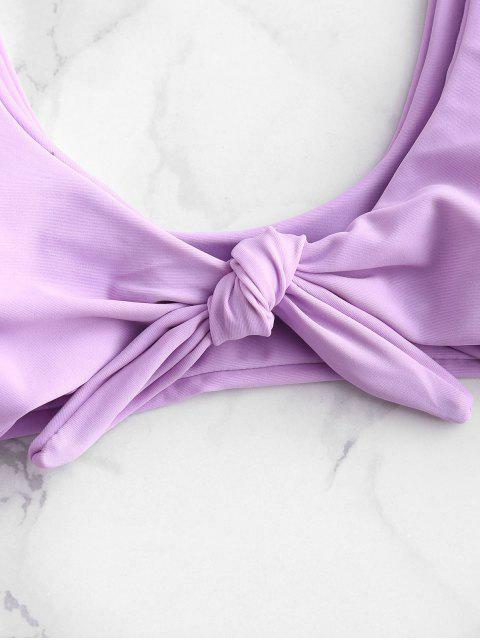 [32% OFF] 2019 Bunny Tie Front Neon Bikini Top And Bottoms Set In LILAC | ZAFUL .. True to size, adjustable top, fits very well. Swam in the ocean and several pools but the white never faded into a dull white color. It stays pure white so i’m very impressed. Drawing focus to the hips and waist, our high leg bikini bottoms are cut to enhance the natural shape of the body while the adjustable tie front top accentuates the bust. This bikini set is made of double layered spandex blend and offers removable soft pads to provide support and a smooth form.